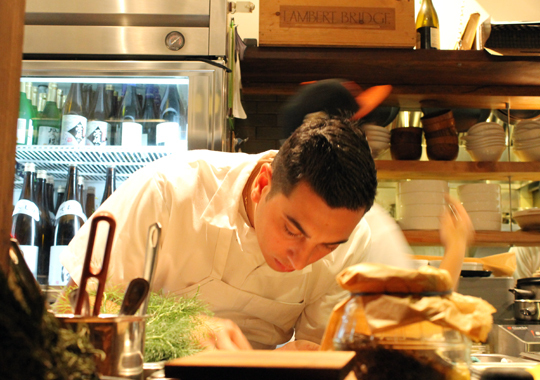 The view from the bar as a cook puts the finishing touches on a dish. 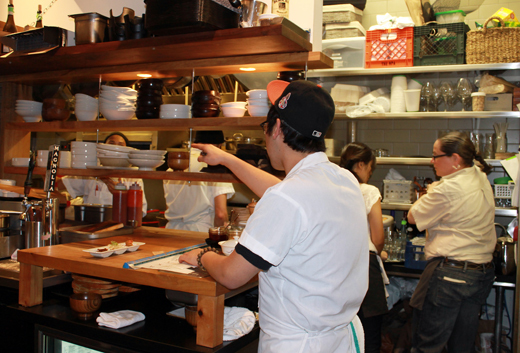 A peek into the tight quarters of the kitchen. 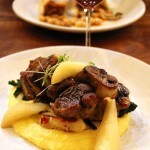 Dishes ($5 to $35) are meant to be shared family-style for the most part. A bo ssam is offered at $100 for 5 to 8 diners, who can dig into a mass of pork belly, vegetables, banchan, pickles and barbecue sauce. 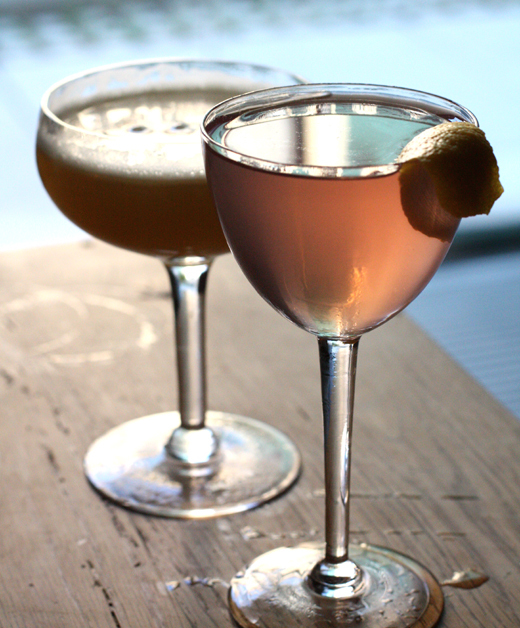 There’s also a Happy Hour menu (5 p.m. to 6:30 p.m. Tuesday through Sunday). It features $2 soju shots, $3 pints, 15 percent discount off all bottles of wine, and snacks such as Korean tacos ($3 to $5.5o each). The latter are made with wrappers of toasted nori, not tortillas, and filled with kimchee salsa, seasoned rice and your choice of tofu, chicken and bulgoki beef. We tried one tofu and one beef. 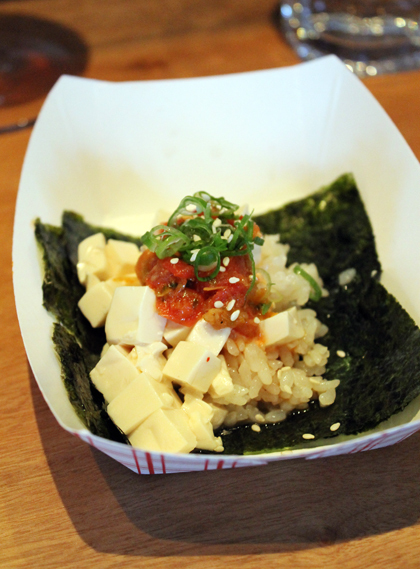 The former is just tiny cubes of soft tofu, so it’s the kimchee-based sauces that really make it. 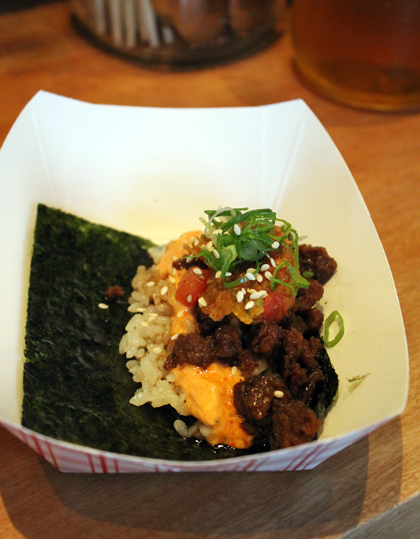 The beef one is much more flavorful because of the meat that has that wonderful sweet-smoky Asian barbecue flavor. The tacos can be rather messy to eat as the nori has barely enough heft to support the fillings, but they’re fun to eat, nonetheless. 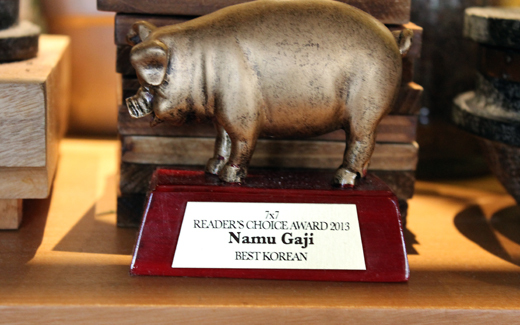 The seating at Namu Gaji is made up of small wooden stools, so don’t even think about leaning back in a slouch. If you sit at the bar, they’ll provide you with bags to hold your belongings so they don’t have to sit directly on the floor. 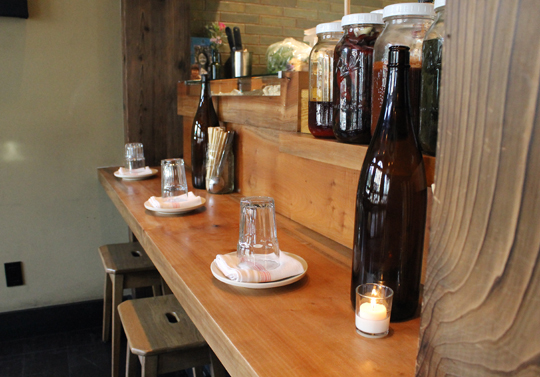 The beer, sake and wine menu may not be large, but it is well curated with many interesting choices, including the Natural Process Alliance “Gaji Blend” 2012 ($11 per glass). It’s the restaurant’s proprietary wine made from Pinot Gris that’s allowed to macerate on its skins to turn the wine an orange hue. 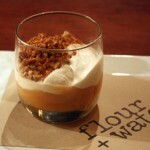 It has an intriguing cinnamon flavor and enough body to carry you through even the more substantial dishes on the menu. The Magnolia “Tillies Union Ale” ($6) is the restaurant’s signature rice ale available on tap. It is dry, with quite subtle hops, and a lovely creaminess to it — a perfect foil for the spicier dishes. That evening’s banchan (left) and pickles (right). 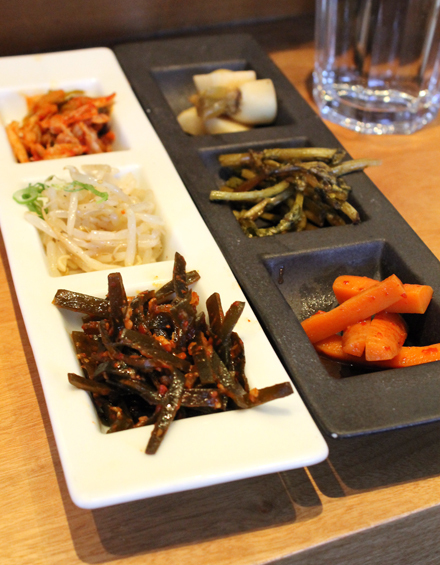 A trio of banchan is complimentary. That night it was kimchee, bean sprouts and kombu. We also ordered a trio of that evening’s pickles ($8), which were daikon, a very tart and spicy radish, and crunchy carrots. 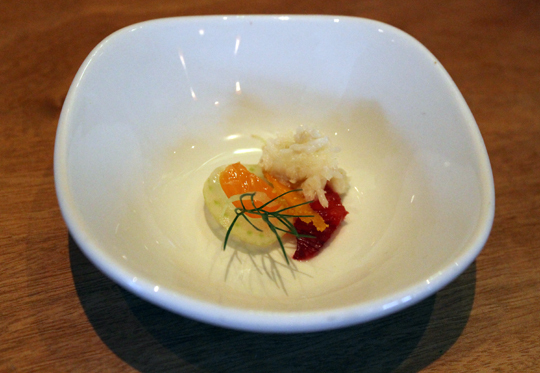 The amuse was cod with bottarga, a bit savory, a bit salty. 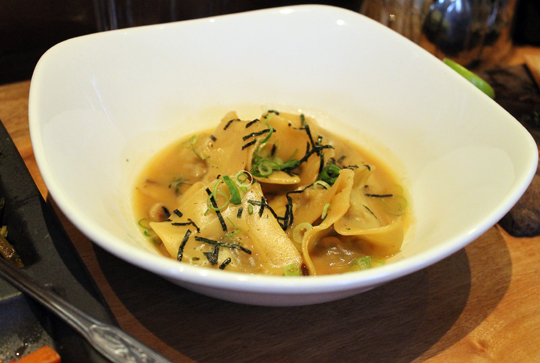 A bowl of tender shiitake dumplings ($14) floated in a dashi broth. The mushroom flavor was heady in this simple, comforting dish. An amuse of cod and cod roe. 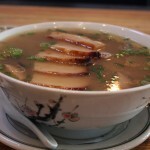 Tender mushroom dumplings in dashi broth. 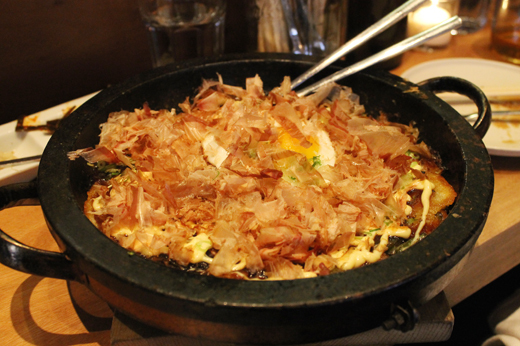 Okonomiyaki ($18) is an umami bomb. It’s huge, arriving in a hot cast-iron platter. You can opt to have a sunny-side up egg on it, too, which you should. The savory Japanese pancake is full of kimchee, oysters, cabbage and mountain potato. A generous crowning of bonito goes over the top, the paper-thin dried fish flakes undulating in the air as if they were alive. Sweet Japanese mayo is drizzled over it all. Dig to the bottom to find the prized crispy layer of goodness. The taste is super savory, the kind that gets rather addicting. If you’re ordering other dishes, it’s almost guaranteed you’ll have leftovers of okonomiyaki to take home. Heat it up in a frying pan the next day for the makings of a great breakfast or lunch. 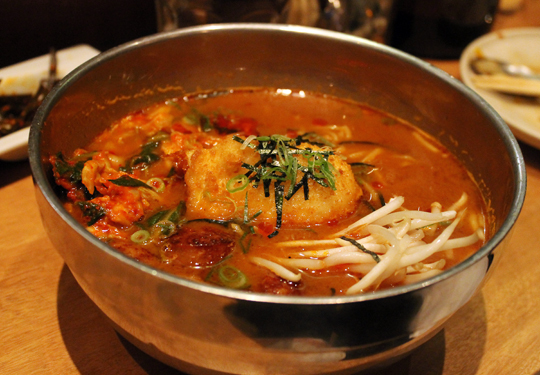 “Ramyun” with a hot, hot, hot broth. “Ramyun” ($16) is the restaurant’s take on ramen, playfully made with slices of 4505 hot dogs and a fried panko-crusted whole egg that’s a little like a Scotch egg, but so much better. 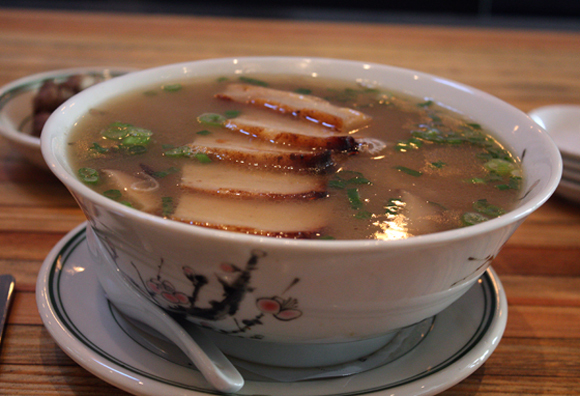 The homemade noodles float in a broth that is pretty fierce, so you better like heat to enjoy this one. 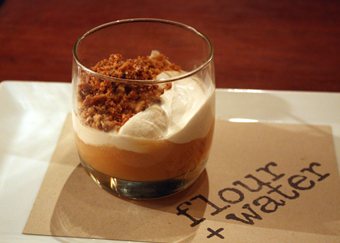 Only two desserts are offered nightly, which are recited by your server. After all that fire, we opted for the shave ice over the molten chocolate cake. 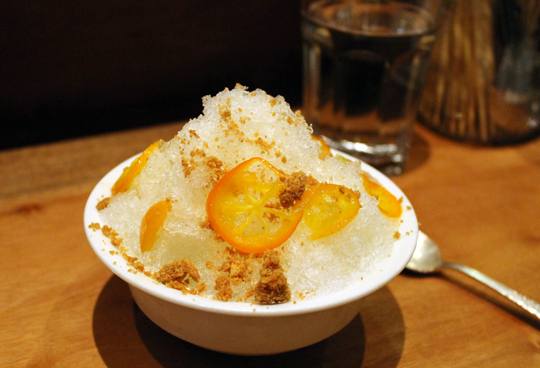 The fluffy snow-cone-like concoction sported Meyer lemon syrup, slices of kumquat and cookie crumbles for crunch. 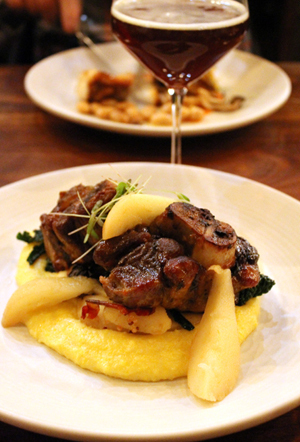 It was as refreshing as it gets for the palate, especially after the strong flavors that preceded. Shave ice to cool things off. Parking can be quite the challenge in this neighborhood. 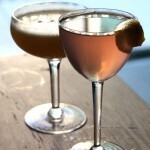 But Namu Gaji does offer $12 valet parking if you want to drop your car off about four blocks away at Locanda restaurant. 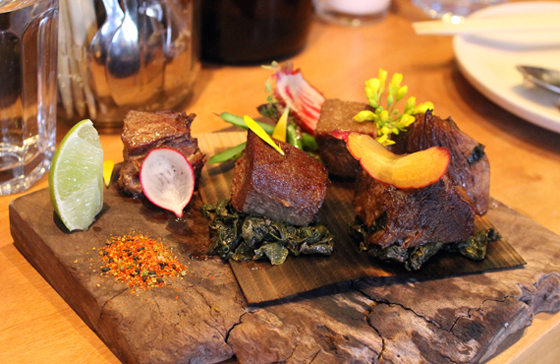 If you’re up for adventure — and beef tongue like no other — this is one restaurant that delivers on that. Gawd I miss those mushroom dumplings. We used to go to their old Balboa location every other week. What an interesting menu…sounds like you had a nice meal. Sounds like a great place! I don’t often see tongue on menus – too bad, because done right it’s pretty good. Good stuff – thanks. So interesting…like the twist in every dish…and shaved ice…yum!